The positive powers of Mercury are signified by emerald natural stone. Also known as Panna, it is suitable for people whose horoscope is dominated by the mercury planet. Mercury is considered the doyen among planets and therefore exhibits royal characteristics. An Emerald precious stone enhances the very qualities that the planet mercury imbibes- that of business, communication, intuition, education and intelligence. The planet also enhances love and relationships. So, if a person gifts this stone to one another, their bonding strengthens by leaps and bounds. It is also believed that if an emerald is tied to a pregnant lady then the delivery is normal and pain-free. Who should wear the gemstone? Since mercury is incompatible with Mars, people whose horoscopes are dominated by the latter should not be using emerald. Ariens should wear the gemstone with caution and should wear it only when the position of the planet Mercury is in the 3rd, 7th, and 10th house. Mercury is highly compatible with Venus and therefore Taurians can use the gemstone with ease. For the Taurians, the gemstone ensures better earning opportunities, a steady positive inflow of wealth, career growth, societal recognition, and spiritual benefits. 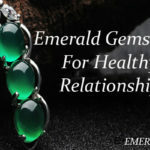 Emerald is most compatible with the Geminians who are ruled by the mercury. The gemstone guarantees improvement in self-confidence, well-being and immunity and increasing focus and concentration. Librans too can wear Colombian emeralds. Those people for whom Mercury enjoys a solid position in the 12th house and those who are in export/import business can wear the emerald gemstone after a trial period of three days. Being the wealth-generating planet for Leo, Mercury is the lord of the second house. It signifies the capital and bank balance and the 11th house. This signifies the social connection, reputation and incomes. It is, therefore, highly beneficial for the Leo descendents. Virgos too are ruled by Mercury so the Panna stone is most suitable for them. Individuals Scorpions too can wear the Columbian emeralds, but only when Mercury is at its best position. But, that too has to be done after a test period of three days. Individuals for whom Mercury is placed in the 1st, 2nd, 4th, 5th, 9th, 10th, and 11th house should wear the Panna stone for life. For the Sagittarius whose Mercury is placed in the 1st, 7th, 9th, 10th and 11th house can wear the Emerald gemstone. For the Capricornians, wearing the Panna stone will ensure spurts in fortune and victory in challenging situations. People with a strong Mercury in the 1st, 2nd, 5th, 9th, and 10th house should be wearing the natural Zambian emerald gemstone for life. 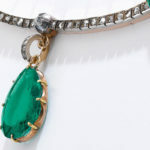 The Emerald gemstone should be worn by Aquarians when the Mercury is strongest in the 1st, 4th, 5th and 9th house. For Pisceans, the Panna stone should be worn during strong Mercury periods and when Mercury is placed in the 4th, 7th, 10th and 11th house. This gemstone is found in various countries including Russia, Zambia, Brazil, India, and Pakistan. However, the best stones are found in Colombia and South America. Entrepreneurs working firmly to take their enterprise to a higher level should wear this stone. It is also believed that legal disputes can be won or resolved if someone is undergoing that. It is also said to have mystical power that brings good fortune and wisdom to the wearer. 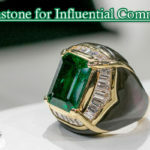 Emerald is available for sale online, however, it is best recommended to buy it physically and demanding documentation of legitimacy on the purchase. 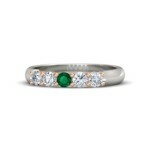 It must be remembered that fake emeralds can cause a lot of issues, health wise and family wise. 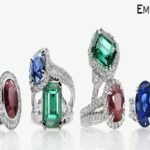 Both Zambian and natural emerald are sold per carat and the price range may vary from Rs2,500 per carat to Rs 40,000 per carat or more. Take the advice of a gemstone seller before buying the gem because buying faulty gem could lead to loss of money and might also compromise with family and relationships. 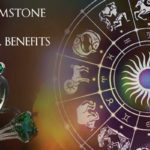 What Are The Perfect Specification Of Emerald Gemstone For Astrological Benefits?